I had a new cake stand cookie cutter I’d been wanting to try, so I used that as the starting point and make a whole set of Cake Stand Decorated Cookies! 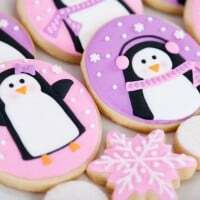 Most of the cookie shapes were created by using a combination of cutters, or using a knife to cut off pieces of a cookie (before baking). Several of the designs started from a three tired cake cutter (similar to THIS one from Karen’s Cookies or THIS one from Truly Mad Plastics), several were from this cake stand cutter. 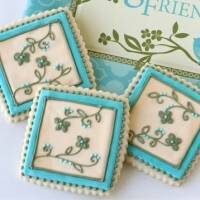 One of the cookies that ended up being my favorite, was a design I created using a few different cutters and some custom cutting by me… it’s the cookie with the white scalloped stand and aqua blue textured cake (with a red rose accent). I shared a picture of the cookie on my Instagram account and several people asked where they could get the cutter. I hadn’t thought that through when I was playing around with creating the cookie! So I shot an e-mail over to my friends at Truly Mad Plastics and they happily whipped up a cutter based on my design! 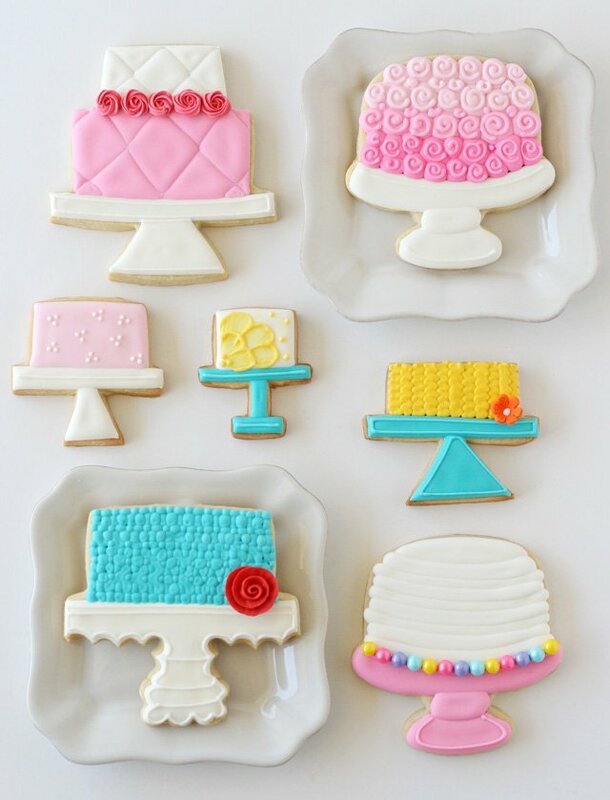 So now you can purchase the scalloped cake stand cutter too! Now let’s make some cookies! 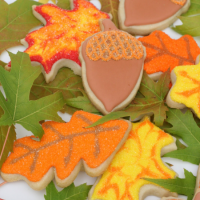 You’ll need a batch cookies made from my Sugar Cookie Recipe (or your favorite). You’ll need some Royal Icing. Your choice of cookie cutters (links above to the ones I used). I don’t have full step-by step tutorials for each cookie, but I took a photo of the first stage, second stage and finished cookies, so you can see the process a bit. Basically, outline and flood one area at a time, based on the design you have in mind. Be patient and allow each section to set up (30 minutes to 1 hour) before moving to an adjoining section. This process will create the texture you see on several of the cookies. I’m curious which design is your favorite? If you love real cake stands too (as I do), I have a full blog post all about my cake stand collection. These are beautiful!!! Love the blue cake the best because of the stand, but they are all so pretty! 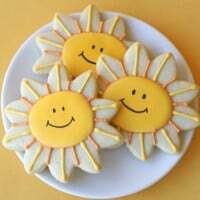 love the cookies, makes me want to bake RIGHT now! you should convince truly mad plastics to give a coupon code. $6 a cookie cutter is a steep price! The blue cake with the red rose is my fav! What tips are you using to create all the flowers? Hi Kim, I’ve yet to do any full posts on creating the accent flowers. The main tip is that your icing needs to be quite stiff, so it will hold it’s shape. I’m sure if you do a little searching on google you could find some nice videos to get you started. What a wonderful collection of cookies! At first, I would have said my fave was the pink ombre cake, but now that you mentioned the scalloped stand, that one just could not be cuter!! What a beautiful decorating job! Thanks for the help! What size tip(s) did you use? Now you get to add “cookie cutter’ designer to your credits! Love your scalloped cake stand design but your pink ombre cake is my all-time fave, hands down. Don’t know if they’d look ‘too busy’ together, but I’ll take my chances Congrats, a ‘play-date’ that turned out really well, just makin’ art for arts-sake….I can picture you dancin’ in the kitchen! These are too cute! My favorites are the quilted two tiered one and the blue one with the red rose! Adorable! These are so cute. PINK ones are my favorite. I do like the scalloped design alot. 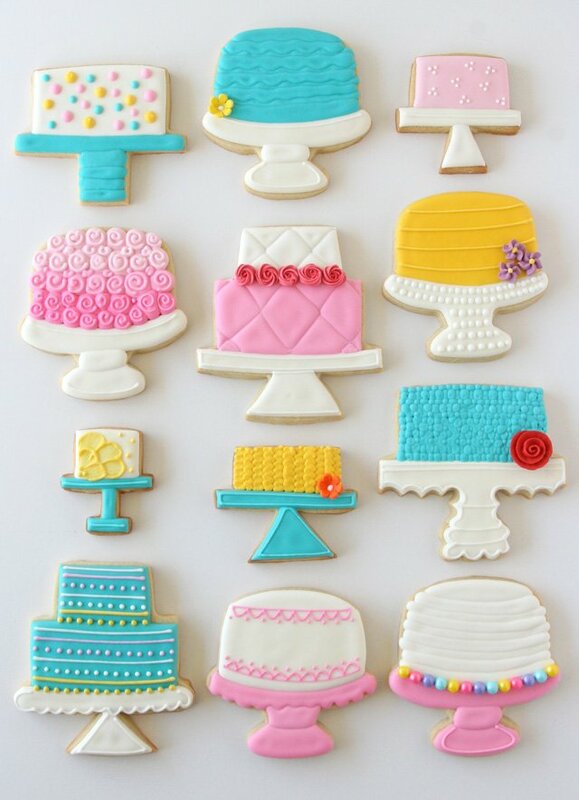 Love these cake stand cookies. Thanks for showing us the decorating steps. My favorite is the two tiered pink and white cake. Super cute and I know they are also delicious. That’s the best kind of cookie! Love you! These are seriously adorable. Your talent (and patience!) are amazing! I’m a little bit giddy over these cookies, Glory! I have four cake stand cookies that have been baked (weeks ago! ), but I think it’s time to take them from the freezer NOW. Thanks for the inspiration! Your work truly inspires me. I started with your cupcakes and now I’m going to venture to cookies (just left Home Depot with my paint sticks! ). My question is regarding frosting…many websites have a frosting for sugar cookies that is corn syrup based. Can you share why you use powdered sugar and the wilton mix? A good friend is moving to Texas so I’m making sugar cookies with a texas-state cookie cutter. Thanks! Wow, these are incredible!! You are so talented. My favourite is the Yellow Cake on the blue stand. Two of my favourite colours mixed. Wow, they look just amazing! You are so talented! Oh, your ombré cake is so adorable! I love when I can actually make something just for fun!